I found an old mirror and some of the silver was flaked off the back. I started scratching into it and to see it better I held it up to a window. The light came through. It looked like an intalio print. 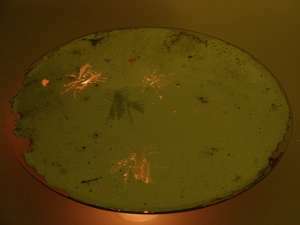 This is a work I made that combined an old mirror and a cricket with programmed LED's.